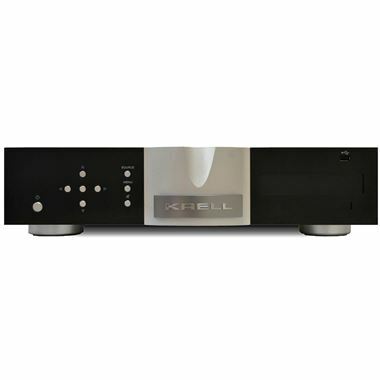 Krell Vanguard 200wpc Integrated Amplifier. Available with Online Finance and Free Delivery. The Vanguard incorporates a 200-watt-per channel amplifier and a Class A preamplifier, enclosed in a chassis that borrows its design and construction from the new Krell Foundation preamp/processor, Connect stream player, Illusion preamp and iBias amplifiers. The Vanguard’s amplifier incorporates a massive power supply with a 750 VA toroidal transformer and 80,000 microfarads of storage capacitance. The tremendous amount of energy on tap provides 200 watts per channel into 8 ohms and 400 watts into 4 ohms. Two quiet, thermostatically controlled fans permit the use of a surprisingly compact chassis. A key option for the Vanguard is the optional digital module, which can be included from the factory (Digital Vanguard) or installed at a later date by a dealer. The digital module includes USB, HDMI inputs and output, coax and optical digital inputs; Ethernet music streaming controlled through dedicated iOS and Android apps; and Bluetooth wireless for convenient streaming from phones, tablets and computers.